This report is designed for the development of knowledge about different types of risks that are exposed to a project.These risks will be assessed meanwhile the development and operational phases of a project. 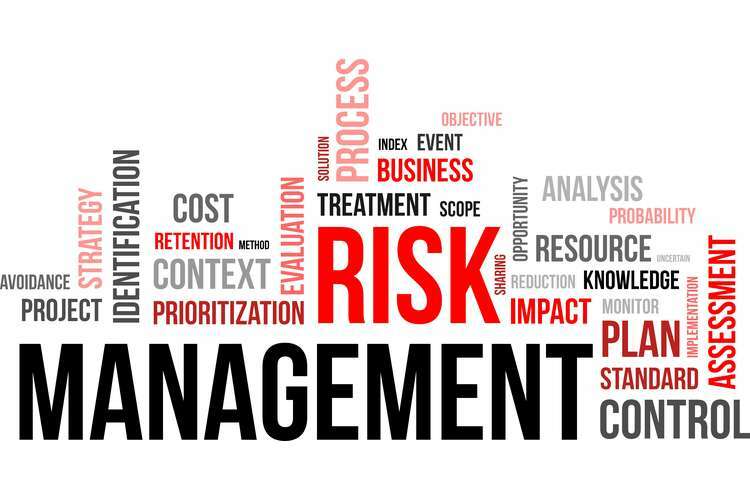 It also emphasizes on the identification of different strategies or activities that should be taken into account for the management of these risks. This report will also focus on the identification and analysis of project in terms of different stakeholders of the project. It will assess how different stakeholders of the project will perceive the risks. In addition to this, it will provide that what is the methodology that can be used for purpose of risk assessment in the project. Apart from this, the report will provide details of the project team. Final section of this report will facilitate information about participation and the marketing communication strategy of this project. In addition to this, it will demonstrate an analysis of monitoring and review program of the selected project. California High-Speed Rail(CHSR) project has been selected in this report. This project has been planned for development of a high-speed rail corridor network connecting different cities in California, USA. Example of different cities that will be connected by this rail project includes Transbay Transit Center in San Francisco and Anaheim Regional Transportation Intermodal Center in Anaheim. This rail project is anticipated to pass through central valley.The speed of rails on this rail corridor will be approximately 350 kms per hour (i.e. 220 miles per hour) (CHSR, 2018).Total number of tracks on this rail corridor will be two, but four at the stations. The corridor sections of Los Angeles–Anaheim sections and The San Francisco–San Jose will also be shared with the local trains in the country. It is anticipated that initial operations segment of this project (between Bakersfiel and San Jose Diridon Station) will be completed by end of 2027. Total number of stations on this rail project will be 24 stations. This will help the population and residents of United States to travel long distances in very less time as compared to conventional trains. Total budgeted cost (current cost) of this project is $77 billion. But it is anticipated that cost of this project will increase to $98 billion (NY Times, 2018). In general, the project scope can be defined as an important component of a project, s it informs the potential stakeholders about different aspects related to the project. Different elements of project scope include total project cost, deadline of the project, tasks of the project, features of the project, deliverables of the project and the project goal. The goal of this project is to facilitate high speed train services for the residents or people residing in California and other parts of the United States. The goal of this project is also to reduce total travel distance between two major cities of Unites States like Transbay Transit Center in San Francisco and Anaheim Regional Transportation Intermodal Center in Anaheim. The deliverables of this project are the high-speed rail corridor in the California, USA. Features of this project includes that there will be total 24 railway station on this project and it will support high speed travel (CNBC, 2018). The speed of trains on this corridor is anticipated as 350 kms per hour. Example of tasks and activities that are part of this project includes development of the project plan, approval from regulatory bodies of USA like parliament etc, development of project team, tendering process, passing of the budget, land acquisition process, development of land areas (civil work), development of corridors, signalling and electrification works, development of ROBs and RUBs at different level crossings, hiring of staff and administrative staff, training of the staff, marketing and promotion required in project, inauguration of the project) (CHSR, 2018). The formal deadline of this project is anticipated as 2027. But it is anticipated that this project will delay to 2031. Total official cost of this project is $77 billion, but it is anticipated that this cost will increase to $98 billion. In general, the project stakeholder can be defined as the individuals and business entities, the interest of whom will be affected by success or failure of a project. Example of different stakeholders of California High Speed Rail project includes the project staff, companies working on projects under CHSR project tenders, people and farmers, the land of whom acquired under the CHSR project, government and regulatory bodies, and the residents or population of California, Unites States. 1. Hazard Identification: This is first step, in which the project manager focuses on potential hazards that may affect the performance of current project in terms of timing of completion and the quality and cost of completion. Example of different hazards or risk factors in this project includes natural calamities like earth quake, cyclones and disasters, risk of cost over run issue, risk of delay in project from planned dead line, risk of civil unrest, risk of delay in budget, accidental risk at sites, legal and regulatory risk etc (Green, 2017). 2. Evaluation and Prioritization: Under this step, the different hazards or risk factors are evaluated from the point of view of their impact on project performance and likelihood of occurrence(Leoni et al., 2015). After evaluation of the risk factors, the prioritization is developed for different risks according to need of mitigation need. 3. Deciding Prevention Actions: Under this stage, the project manager and project team work for development of risk prevention actions or strategies. Under this step, the risk management activities are planned and it is also decided that who will be responsible for implementation of which plan. In other words, this step involves the development risk management plan (Kerzner and Kerzner, 2017). 4. Taking Actions: This is step, in which project manager works to implement the risk management plan(Green, 2017). Under this step, the project team starts working on the activities planned for mitigation of the project risks. 5. Monitoring and Reviewing: This is also an important step of the risk management plan in a project. Under this stage, the project manager focuses on monitoring of performance of risk management plan in the project. Example of different activities that help to perform this step involves organizing meeting with project staff involved in execution of the risk management plan. The methodology of ‘What If Analysis Approach’ is also quite helpful in the risk assessment in a project. Under this assessment methodology, the project manager focuses on identification of different threats or hazards that are exposed to a project. In this approach, the what if questions are asked in order to know that what can go wrong with the project due to uncertainty of the external world or external environment and what will the impact if such instances happen with the project(Kerzner and Kerzner, 2017). Its is very important for the project team to use brain-storming technique for exploring different possible hazards or risks that may occur in the future in the performance of current project. For this purpose, it is also important for the project to think that what are the operations and processes in this project that are exposed to higher level of risks and hazards while working on the project. Evaluation of the likelihood of occurrence of the risks and their impacts on the performance and cost of project would help to determine, whether the risk should be accepted or not. The risks that may lead to very high level of cost overrun to the project and its performance will not be tolerable for the project stakeholders. In this context, the risks or hazards, the likelihood of occurrence of which is very high have major impact on cost and project performance as well as risk of human lives will be given high priority for prevention actions. At the same time, risks with minor impact of project performance with lower chances of occurrence may be given low priority in the development of risk mitigation or risk prevention actions. In general, the project team can be defined as the group of team members that are responsible for performance of entire project. Project team of California high speed rail project consist of different organizations, business partners and regulatory authorities like DB international USA, California High-Speed Rail Authority (CHSRA) etc. at the same time, the chief executive of this project is Brian P. Kelly. There are large number of permanent and temporary project team members. Under the risk assessment plan under CHSR project, the risk assessment data will be gathered through use of different online and offline sources like industry reports, reports of non-profit organizations, surveys, and the internet sources. The risk management team will be working on the risk assessment work on this project. This type of risk assessment work is done at big level in the real-life project of CHSR project in California. In theoretical aspects, the brain storming technique can be used and online sources can be explored for the collection of data related to potential hazards and risk factors affecting the CHSR project. The validity of the data can be evaluating by contacting relevant staff of different departments to which the data are belonging. At the same time, in theoretical aspects, the validity of data gathered through data collection techniques under risk assessment process can be cross verified through cross checking the original copy of data collection tools. Apart from these, the validation of quality of the data can also be validated through use of statistical software like MS excel and SPSS. Participation strategy can be defined as the strategy that is designed for encouraging participation of project members in different project activities. For this purpose of the official meetings will be planned and organized with the project team members from time to time in order to keep project team members updated about different incidents and events in the project Plan performance. In context of the risk assessment and risk management plan the project staff relevant for these roles will be sent invitation to attend the risk management meetings at CHSR project. The place or venue of such types of meetings will be developed in a way, where different project staff or project team members can easily approach (Hornstein, 2015). For this purpose, the place or geographical areas are selected that have good connectivity and at average distance to different project team members. In contrast to this, the official meetings of project for different purposes, the meetings are organized at official places like headquarters or strategic business offices. In this type of meeting, the all facilities are availed for staff that are coming from outstation or long distance, as these staff have to make proper arrangement for their routine activities in an effective and efficient manner. The communication strategy also plays an important role in the success of a project or a risk assessment and risk management plan. In simple words, the communication strategy can be defined as the planning and selection different mediums through which the communications with different project members will be made. In other words, the communication strategy is helpful for the entire project team to stay connected with each other. In absence of an effective communication strategy in a project, the communication gap issue may emerge that is very harmful for consistent performance and progress of the project. In context of risk assessment and risk management plan, the communication strategy is very important (Binder, 2016). It is so because it helps to keep the project team or project staff updated about different possible risk factors hazards that may occur in a project at different phases or stages of performance. The appropriate mediums of communication under the communication strategy are online communication, communication through email id, communication through whats app, communication through mobile phones and the communication over official notice board. Apart from these, the communication about different announcements about the project performance are also made over official website of project. The communication and participation strategies have been designed in this project for giving opportunity to different staff to contribute in the decision making. The project team or different staff working under the CHSR project can contribute their ideas over meeting places or through sending emails to the email id of administrative staff. The staff are always motivated to give their contribution through emotional and motivational quotes over official website of the CHSR project (Verzuh, 2015). In meetings also, the speakers or senior staff of project always motivates the audiences and other staff members to show their talent by giving the productive ideas for avoiding performance issues occurring in the performance of CHSR project. In general, the monitoring and review stands for the set of tasks and activities that are planned and executed for purpose of tracking the progress of a project. In context of risk assessment and risk management plan it is important for the project team to organize time to time the performance monitoring meeting with the relevant staff. The report on their achievement should be gathered and their summary of comments on their achievement should be obtained in this meeting (Haz?r, 2015). The corrective actions should be planned and initiated by upper level management of the CHSR project. This will help to achieve the success in this project in terms of risk assessment and risk management. On the basis of above analysis, it can be concluded that risk assessment and risk management plan is very important for effective and timely completion of a project. The monitoring and review of performance are also important steps for ensuring success of a project. 5 step approach of risk assessment is quite effective in order to implement effective risk management plan in a project. 1. Binder, J. (2016) Global project management: communication, collaboration and management across borders. UK: Routledge. 2. CHSR (2018) California High Speed Rail Project. [Online]. Available at: https://www.wsp.com/en-GL/projects/california-high-speed-rail (Accessed: 28 September 2018). 3. CNBC (2018) California's $77 billion 'bullet train to nowhere' faces a murky future as political opposition ramps up. [Online]. Available at: https://www.cnbc.com/2018/03/12/californias-77-billion-high-speed-rail-project-is-in-trouble.html (Accessed: 28 September 2018). 4. Green, C. (2017) Competent authorities for the flood risk management plan–reflections on flood and spatial planning in E ngland. Journal of Flood Risk Management, 10(2), pp. 195-204. 5. Haz?r, Ö. (2015) A review of analytical models, approaches and decision support tools in project monitoring and control. International Journal of Project Management, 33(4), pp. 808-815. 6. Hornstein, H.A. (2015) The integration of project management and organizational change management is now a necessity. International Journal of Project Management, 33(2), pp. 291-298. 7. Kerzner, H. and Kerzner, H.R. (2017) Project management: a systems approach to planning, scheduling, and controlling. USA: John Wiley & Sons. 8. Leoni, E., Dallolio, L., Stagni, F., Sanna, T., D'Alessandro, G. and Piana, G. (2015) Impact of a risk management plan on Legionella contamination of dental unit water. International journal of environmental research and public Nursing and Healthcare, 12(3), pp. 2344-2358. 9. NY Times (2018) $100 Billion Train: The Future of California or a Boondoggle?. [Online]. Available at: https://www.nytimes.com/2018/07/30/us/california-high-speed-rail.html (Accessed: 28 September 2018).